The PuraVida Wall Outlet from Hansgrohe allows consumers to create a custom shower in only minutes. From one of the leading manufacturers of plumbing products for over one hundred years, the PuraVida Wall Outlet delivers a connection that fits all 1/2 inch hoses with conical nuts. This stunning chrome wall outlet provides a 1/2 inch female inlet, and includes easy to understand installation instructions to make the process faster and easier, even for beginners. 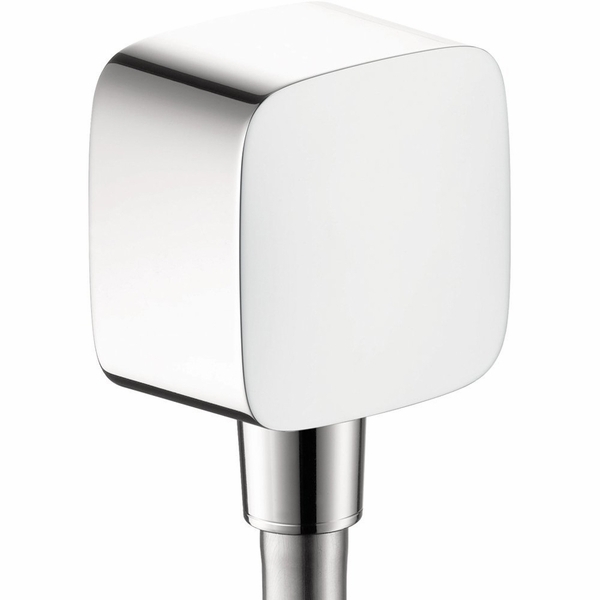 The PuraVida Chrome Wall Outlet also features a double check valve to prevent back flow from occurring. This chrome wall outlet will make a great addition to any renovation, and is priced affordably as well. WARNING: This product can expose you to one or more chemicals, including lead, which are known to the State of California to cause cancer and birth defects or other reproductive harm. For more information go to www.P65Warnings.ca.gov.